The development of a completely novel type of telecommunications satellite has been approved. To be called Quantum and built in the UK, the 3.5-tonne spacecraft will break new ground by being totally reconfigurable in orbit. Normally, the major mission parameters on satellites – such as their ground coverage pattern and their operating frequencies – are fixed before launch. Quantum is a European Space Agency telecoms project. 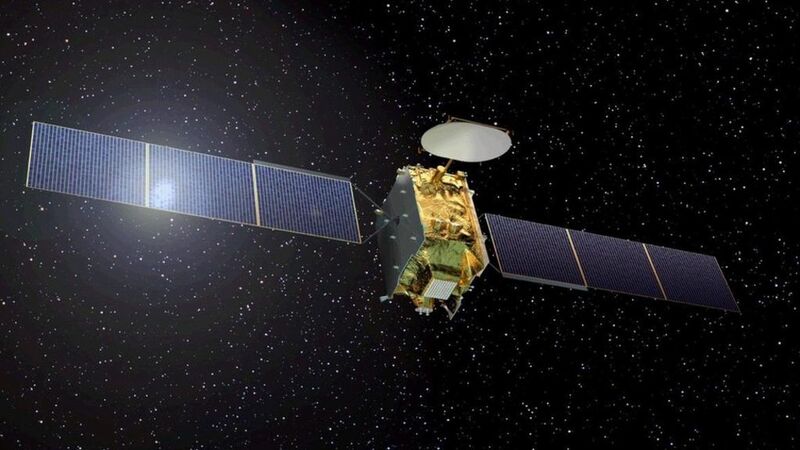 However, its development is actually a partnership with private industry, involving Paris-based satellite operator Eutelsat and the manufacturer Airbus Defence and Space. The parties signed a contract on Thursday at the Harwell Science Campus in Oxfordshire. The ultra-flexible payload of Quantum will be prepared by Airbus at its Portsmouth factory, and then integrated into the spacecraft bus, or chassis, at Surrey Satellite Technology Limited (SSTL) in Guildford. SSTL is an Airbus subsidiary. The satellite will have the flexibility to take on new roles at anytime – in coverage, in frequency band, and power use. “The beauty of Quantum is that it uses active antennas on the uplink to the spacecraft and on the downlink to the Earth,” explained James Hinds from Airbus. “Active means the coverage – where you point – can be moved around at the touch of a telecommand through a process called software definition. “This means, for example, you can put power where the market demands it, or, and this does happen, you can change your coverage to mitigate interference in places where someone is unintentionally, or even intentionally, jamming your signal.” Eutelsat has yet to fully define the initial mission for Quantum. It will however likely work predominantly in the Ku frequency band. It should find itself relaying video, data, telephone calls and broadband connectivity to a range of customers – some static, some on the move. Quantum could even feed direct-to-home TV if required, although this is one application for which it would not be best-suited. “We are talking to governments, we’re talking to maritime companies, we’re talking to data operators – and we will focus Quantum on those users where we feel the eagerness is greatest,” Michel de Rosen, the chairman and CEO of Eutelsat, told BBC News. For SSTL, Quantum represents another important step in the evolution of the one-time, small university spin-out. It started by making small Earth observation satellites for use in low-Earth orbit a few hundred km above the planet. Quantum will be its first platform to be sited 36,000 up in the geostationary telecoms arch. “This is something we’ve been looking to do now for some years,” said SSTL’s John Paffett.